The piano is a great instrument to learn no matter what age you are when you start. How people learn to play the piano has changed dramatically in the last ten years. Until recent years, sitting down one on one with a piano teacher and a few books, or being self-taught were the only options available. Now there is instruction in classroom settings, one on one instruction, video instruction and web programs designed to teach people how to play the piano. The most traditional way to learn how to play the piano is to meet one on one with a piano teacher. Some are licensed to teach, having a degree in music education or other certification through a national or state guild and others have just played for years and have a heart to share it with others. Find a teacher through word of mouth, guild or the classifieds. Teachers often have contact with the local school music department and local churches, so they would also be great places to look for a piano teacher. Group instruction is more impractical for the piano than other instruments but there are areas of the country where it is available. This type of instruction will general use music books including both lesson and theory and may require recitals or other public performances from time to time. Music books have also changed dramatically in recent years. Most series available today have books for young beginners as well as books for older children and adults who wish to start learning the piano without having to use books designed for elementary students. Along with lesson books there are theory books that explain the mechanics of music composition and technique books that offer drills for additional practice on difficult passages. Older series tend to progress more quickly through classical pieces while modern courses use many original compositions aimed at reinforcing the lesson through repetition. There are several series of beginner books designed to be used as self-taught home courses. Those students who have an ear for music or previous music experience may find a home course the best option. People can do just about everything online and learning to play the piano is no exception. Several websites offer virtual piano lessons or feedback on your playing (for example the piano playing community Piano Forum.) Many of these online courses are free to the public, but may require a faster internet speed and a keyboard. These sites use videos for basic instruction and a chat room style question and answer session throughout the course. Some have successfully taught themselves how to play the piano through YouTube tutorial videos. Though it would be impossible to play classically in this manner, numerous videos have been posted that show would-be pianist how to chord through popular songs. Deciding what type of music to focus on will have a great bearing on how to learn. Most traditional piano instructors offer more classical instruction. For those who are looking at playing popular music to entertain themselves and friends a virtual class may be fine. Learning to play by ear just requires basic music theory and time. No matter what path is chosen to learn to play the piano, it will take a fair amount of work and dedication. Daily practice is required by nearly all methods of instruction to train the hands, bolster eye-hand coordination and fine tune the hearing of an individual. 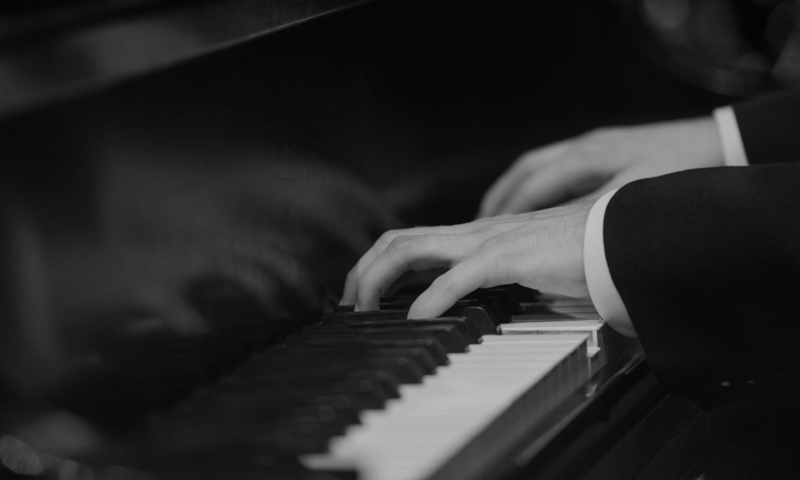 Which classical piano pieces should every pianist know? This joyous set of Beethoven's sonatas takes its place among the very best. In its own way, the Seven Words of Christ is just as sublime as the Stabat Mater. This sensitive, dynamic recording is a joy, and may even constitute a revelation. The pair exhibits a refined style on these illuminating performances.